I don't know about you but when I hear this song I think of a cowboy in black suit crossing a dry land in a very pissed off mood..
Exit's lyrics explore the dark impulses of a desperate man. At an Los Angeles U2 concert on November 18, 1987, Bono said of his verse "This is a song about a religious man who became a very dangerous man when he couldn't work out the mystery, on the hands of love." Bono's reference to stars has become a common theme for Bono - see The Fly, If you wear that Velvet Dress, Crumbs from Your Table or Elevation. 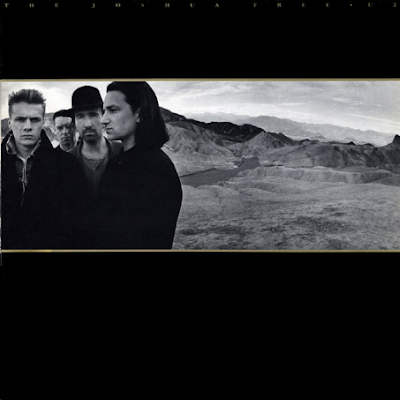 Check out the lyrics to some other great songs from The Joshua Tree album, the number one songs, "I Still Haven't Found What I'm Looking For "With or Without You" and the very politically potent "Bullet the Blue Sky"